Edu­cat­ing chil­dren about the ben­e­fits of trees is a great way to con­nect with the nat­ur­al world. Learn­ing about trees can also instill a sense of place by becom­ing aware of our nat­ur­al com­mu­ni­ty spaces. Many of the envi­ron­men­tal prob­lems fac­ing our com­mu­ni­ties could be improved using trees, plants, and a lit­tle cre­ativ­i­ty. We hope that these activ­i­ties intro­duce those con­cepts to stu­dents, who will ulti­mate­ly ben­e­fit from the trees we plant today. Dis­cov­er seeds, nuts, leaves, bark, and more with this inter­ac­tive inves­ti­ga­tion of urban and com­mu­ni­ty trees. This one hour indoor pre­sen­ta­tion will allow par­tic­i­pants to explore and iden­ti­fy some of the com­mon and unique trees that grow in our com­mu­ni­ties. Seed dis­per­sal, leaf type, and bark tex­ture will be high­light­ed with nat­ur­al his­to­ry spec­i­mens brought to your class­room or event space. Want to go out­doors and do a tree walk as well? This out­door por­tion is option­al and a great way to see the trees in your com­mu­ni­ty. Have you ever grown a flower or veg­etable from seed? How about a tree? Dis­cov­er the fas­ci­nat­ing shapes, tex­tures, and diver­si­ty of tree seeds. Learn how to iden­ti­fy a tree sim­ply by its seed, fruit, or nut. Receive a seed from a native Penn­syl­va­nia Ken­tucky cof­fee tree, and pre­pare it to plant and take home with you. Inter­est­ed in col­lect­ing seeds on your own? 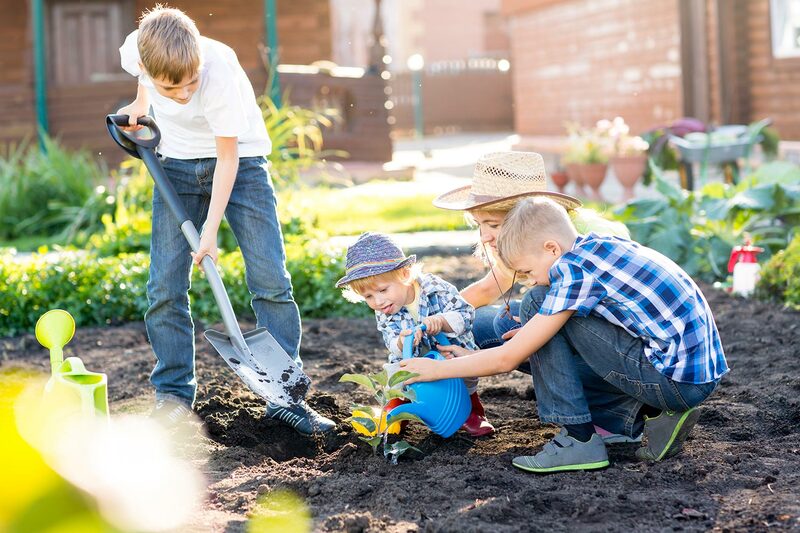 Learn the times of the year best to col­lect in your com­mu­ni­ty or vol­un­teer with us to help us gath­er tree seeds to grow in our Her­itage Nurs­ery. Inves­ti­gate the plants, insects, and ani­mals liv­ing out­side your win­dow. Com­plete a nat­ur­al his­to­ry inven­to­ry, map the prop­er­ty and dis­cov­er the won­ders of nature that exist right in your back­yard. Learn what can be done out­doors each sea­son and use your out­side space as a learn­ing class­room. Get out­doors to iden­ti­fy, mea­sure, and cal­cu­late the aver­age age of the trees. Dis­cov­er the dif­fer­ent growth rates of trees and using the data col­lect­ed, cal­cu­late the envi­ron­men­tal ser­vices pro­vid­ed by the trees using online tools. Find out answers such as: How many gal­lons of storm water can a tree inter­cept? How much ener­gy sav­ings can it pro­vide to a house, or school? What is it doing to clean the air? Explore the links to find FREE les­son plans and activ­i­ties for stu­dents focused on the impor­tance of trees! Reser­va­tions for the school year begin August 1. Con­tact Com­mu­ni­ty Edu­ca­tion Coor­di­na­tor Joe Stavish at 412/781‑8733 or Joe@treepittsburgh.org to dis­cuss the pos­si­bil­i­ties. All reser­va­tions must be made at least 4 weeks in advance.